At NIU, we’re committed to making a life-changing education affordable for you. That’s why we guarantee you the same costs over four continuous years as you complete your bachelor’s degree, and also charge a flat, full-time rate for 12 or more credit hours a semester — helping you earn your degree and graduate faster. In addition, we’ve kept our base tuition costs at the same level for five consecutive years. Planning to enroll in an upcoming term? We’ll tell you what assistance you’re eligible for within a week of your admission date, if we have received the results of your Free Application for Federal Student Aid (FAFSA) and processed any required additional documents. Merit-based aid determined by your academic achievements. 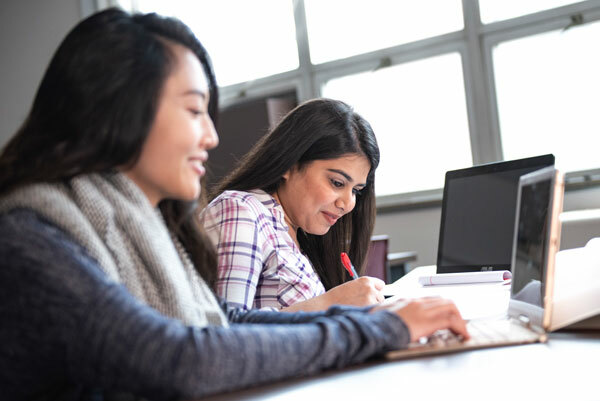 More than 80 percent of our students receive financial aid through federal, state, NIU and other programs, and you may be eligible for more than one type. Once you’re ready to apply for financial aid, our step-by-step guide will help you navigate the process! Learn more about the assistance that may be available to you below. Considered a kind of gift-aid that doesn’t have to be repaid, scholarships can be need-based, merit-based or competitive. NIU Merit Scholarships: Awarded automatically, based on the test scores and GPA submitted in an incoming undergraduate’s application for admission. NIU Competitive Scholarships: NIU’s primary resource for additional scholarships for continuing sophomores, juniors and seniors. See filing deadlines and apply at niu.edu/myscholarships. AIM HIGH and NIU Partner Scholarships: Awarded to incoming students from Illinois based on state income guidelines and merit. Complete a FAFSA by NIU’s priority deadline of Dec. 1 to be considered. Students who demonstrate financial need or other eligibility may receive a type of gift-aid that does not have to be repaid — federal, state and NIU grants. Federal Pell Grant: Offered by the U.S. Department of Education to undergraduates who demonstrate need, with a lifetime funding limit of 12 full-time semesters. Illinois Monetary Award Program (MAP) Grant: Funded on a first-come, first-served basis by the state of Illinois. Similar to Pell, the MAP has a lifetime cap, meaning those eligible may receive up to 135 credit hours of assistance. Huskie Advantage Grants: Awarded by NIU to first- or second-year students who are enrolled full time, and meet need and scholastic criteria. Generally a type of financial aid that must be repaid, loans are available through the federal government or private lenders. Federal student loans have annual and lifetime limits, and private lenders may require a cosigner or other criteria. Direct PLUS Loan: Supplemental federal loans for graduate students and parents of dependent undergraduates. Borrowers are responsible for paying all interest. Direct Subsidized Loan: A federal loan awarded based on financial need. The government pays interest on your behalf while you’re in school at least six credit hours, as well as during a period of deferment and for the first six months after you leave school. Direct Unsubsidized Loan: A federal loan available to students who are eligible for financial aid but may not qualify for a subsidized loan. Borrowers are responsible for paying all interest. Private Loans: Available through corporate lenders with varying requirements. Consider private loans after exploring other options for assistance. Students awarded this need-based program must apply and be hired for an eligible campus job, stay enrolled in at least six credit hours and maintain a 2.0 GPA. Any work-study amount offered on an award letter represents the total wages a recipient could earn.